The proverbial $64K question that public television programmers find themselves being asked the most the past few months is when will the two long-time favorites, Doc Martin and A Place to Call Home return with new episodes. Complicating matters in the minds of viewers is the knowledge that Doc Martin has already aired in the UK and new episodes of A Place to Call Home premiered on Foxtel in Australia beginning 8 October of this year. American audiences usually have a brief yet agonizing blackout period before the shows hit public television. If this years blackout seems a bit longer and blacker, it is, unfortunately. At this point, the vaguely yet easy answer to the question would be to say Spring 2018 at the earliest with Summer becoming more likely with every passing day. 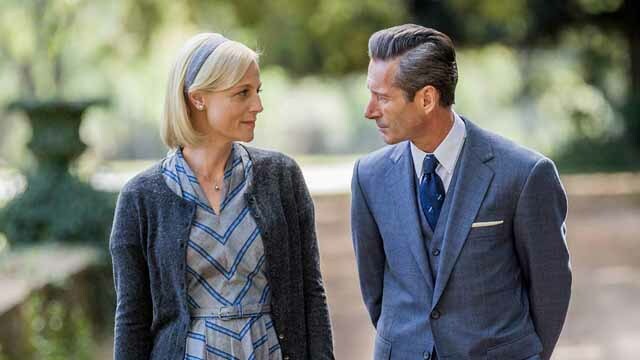 For A Place to Call Home, series five will time jump to 1958, where four years have passed since we left Sarah (Marta Dusseldorp) and the Bligh family. Those four years have seen ever increasing changes in Australian society. The world of wealth and privilege is being eroded, moral values are fraying and a new young generation is rising, full of disaffection with the world of their elders. To them the War is a matter of the dead past, bringing conflict with those who suffered its pain and deprivation. Economic change and the devious actions of unseen enemies threaten Ash Park. While friends become bitter rivals and former enemies become unlikely allies. And in the midst of the turmoil, love becomes the only sure place anyone can call home. As far as Doc Martin is concerned, thankfully for non-residents of Portwenn, Dr. Martin Ellingham isn’t done insulting his patients just yet. Everyone’s favorite curmudgeonly village physician with an ill-timed phobia for blood will be back for another set of eight programs that will make up series 8 of Doc Martin. 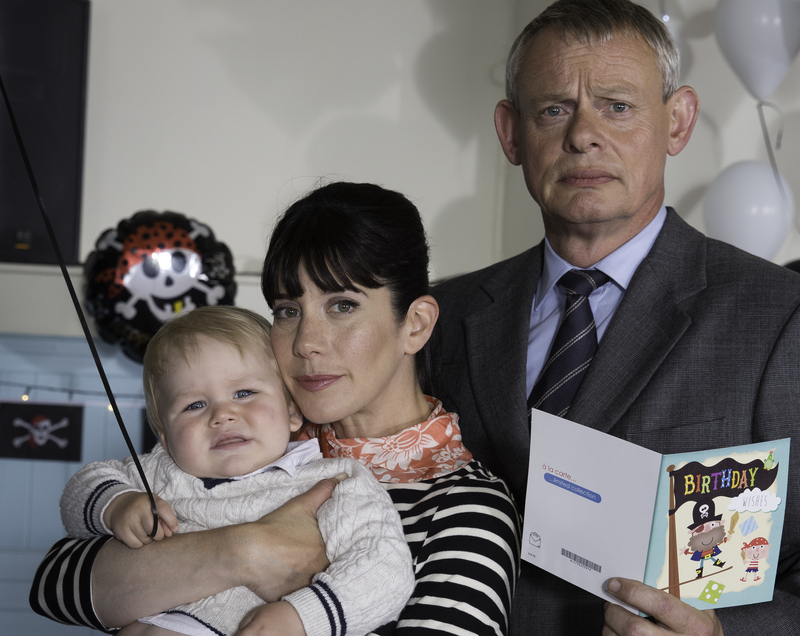 With the series having already aired in the UK, all regular cast members are returning headed by Caroline Catz who plays Doc Martin’s wife and local school headmistress, Louisa Ellingham. After having therapy to save their marriage in the last series, the Doc and Louisa face the challenge of living happily together with their baby James Henry. Also returning are Dame Eileen Atkins who plays Martin’s Aunt Ruth, who is beginning to doubt the wisdom of going into business with Bert Large and his son Al, played by Ian McNeice and Joe Absolom. Selina Cadell also returns as Portwenn pharmacist Mrs Tishell, whose husband Clive, played by Malcolm Storry, is keen for her to join him on his keep fit regime. There’s romance too for the doctor’s receptionist, Morwenna Newcross, played by Jessica Ransom. Morwenna and Al have become an item. But there’s devastating news for Morwenna when her parents Jack and Tara Newcross return to Portwenn unexpectedly. Sadly, American audiences will have to wait for both series to return to public television. Look for new series of Doc Martin and A Place to Call Home hopefully this Spring on public television in America. Doc Martin season 8 is airing now on Acorn in the US. (Episode 8 coming up second week of November). It may be this is the last year, judging by the events of Episode 7. I thought APTCH was starting the 23rd of this month on ACORN….. Spend $5,00 and get Acorn, You can watch season 8 and 1-7.